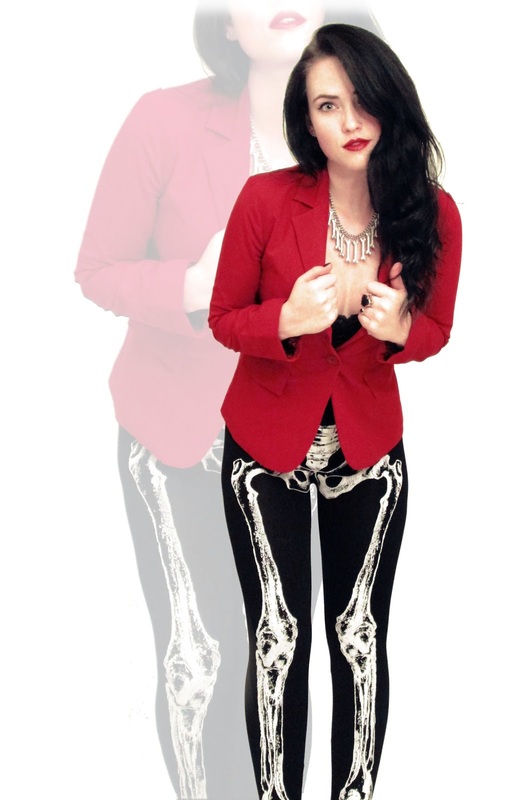 I absolutely love these leggings I wish I would have bought a few pairs so I can wear them all the time! lol. 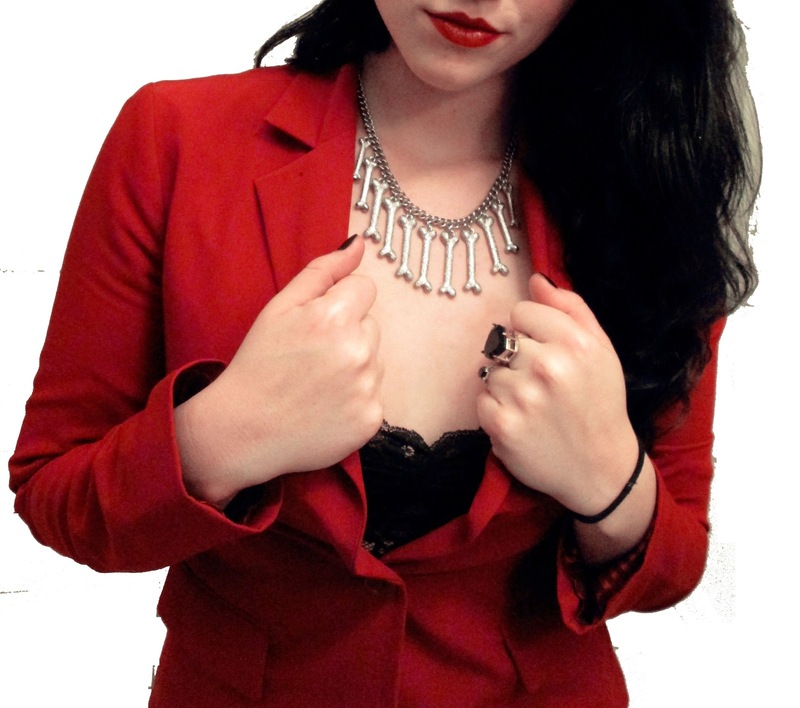 I got them in a shop on Melrose in LA, by a brand called See you Monday, as well as this bone yard necklace! 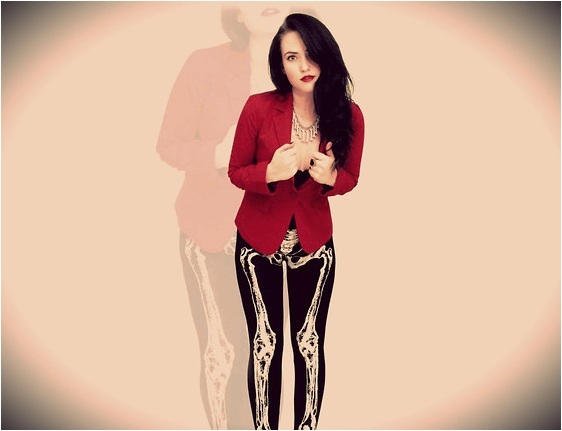 The red blazer is from forever 21.